If you’re considering joining in a contest of Nashville trivia, make sure Ralph Schulz is on your team! 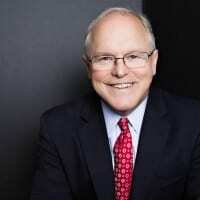 As President and CEO of the Nashville Chamber, he specializes in all things Nashville -- facts, statistics and information about Nashvillians’ lifestyles are essential to his work for the city. While “Hytchin’” around downtown with Carissa Biele, Schulz demonstrated his good nature and positive approach to Nashville’s growing traffic woes, recording a nearly perfect performance in this video of his high-stakes trivia challenge. As is the case for many residents, Schulz’s own commute has doubled in recent years, and he has a few suggestions on how to alleviate those issues. “I think Nashvillians just need to have alternatives. Ride bikes when you can ride bikes, walk when you can walk. Hytch rides with other people when you can Hytch rides with other people,” he says. Known for sound advice, Schultz has focused on four key words as the building blocks for success in his organization: Belong. Engage. Lead. Prosper. Today, Nashville is engaged in a debate about its future that is anything but trivial. Schultz has members like Hytch who belong, engage and contribute to the solution, pulling together in a prospering city that’s exploring its vision for mobility. As one of only six US cities that sits at the convergence of three major interstate highways, so leaders appreciate the many complex influences contributing to congestion. While those interstates are important for commercial transportation and convenient for getting out of town, they are also the source of headaches when trying to get around town or surviving a daily commute to work. As the pain of traffic increases, many are starting to look at incentives to put two or more people in a car.  Hytch, the app that pays cash rewards for ridesharing, is a powerful tool to help change driving behaviors through direct incentives for people who choose to take that extra car off of the road. “There’s no question -- the more people you put into a vehicle, the better off we’re all gonna be,” Schulz says. Thanks to Nissan - recognizing innovation that excites - every employee on Ralph’s team can earn at least five cents a mile paid to both the passenger and a driver commuting together with Hytch Rewards. Now, that’s a sweet jelly bean! You earn more dough from Sprint and Franklin Synergy Bank -- corporate leaders showing other companies a great way to contribute to Nashville’s transit solution - because Hytch Rewards could have the most immediate impact on Davidson county commuters. Back to the contest, Ralph’s only error was underestimating the number of hours Nashville drivers waste in congestion annually (45 hours!) and he bravely faced the consequence: eating a booger flavored jelly bean. Even after swallowing that, he still agreed that Hytchin a ride with someone is more entertaining than driving alone. “Everyone in Nashville should ride around with you,” he told Carissa. She’s going to need a much bigger car. And more jelly beans.